Brahms’s First Piano Concerto, completed when the composer was but 25 years old, was his first publicly performed orchestral work. The first performance was in Hannover in January 1859, and followed by others in Leipzig and Hamburg. In the early performances, Brahms was either the soloist or the conductor. In the course of composition, Brahms’s work assumed various forms. In 1854 it began as a sonata for two pianos. By July 27 of that year it was being transformed into a four-movement symphony. Throughout the process Brahms sought advice from a variety of friends, including the violinist Joseph Joachim and pianist Clara Schumann. Brahms ultimately decided to make the work a concerto for piano, his favoured instrument, in 1855-56, and more than twenty years would pass before Brahms would complete his first symphony. The first movement, much the largest of the three, is in sonata form and divided into five sections: orchestral introduction, exposition, development, recapitulation and coda. 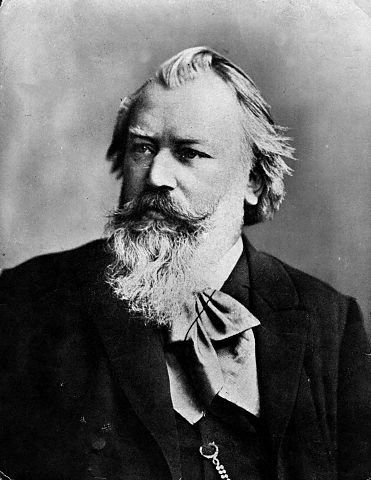 Brahms’s strict adherence to classical forms earned him a reputation for being musically conservative. Within the orchestral introduction, other themes are introduced, and the thematic material is further developed by both orchestra and soloist. The second movement, an Adagio in D major, is in ternary form with the main theme introduced by the bassoon. The Rondo finale is similar to, and clearly based upon, the finale of Beethoven’s Third Piano Concerto. Following the cadenza there is an extensive coda in the parallel key of D major in which the rondo themes continue to be developed.